Hopper Scales / Weigh Modules - Accurate Scale Industries Ltd.
WE OFFER MANY DIFFERENT STYLES AND DESIGNS FOR MOST ALL SILO/HOPPER WEIGHING APPLICATIONS SUCH AS PROCESS CONTROL, BATCH WEIGHING HAZARDOUS AREA, CORROSIVE CHEMICALS, AND WASH DOWN SCALES. WE CAN PROVIDE SUPERIOR ACCURACY IN ANY ENVIRONMENT AND LOADING CONDITION. Ready for medium range indoor and outdoor applications, the RL2800 series are NTEP certified in capacities of 1,000 lb to 10,000 lb. Zinc plated mild steel, center-pivoted, self checking and multidirectional, this is a truly versatile and dependable weigh module. The EZ Mount 1 Series weigh module was created to provide greater performance in a broad range of process control and vessel weighing applications, including: batching, blending and bulk inventory management. Each assembly has a temperature-compensating and self-checking sliding pin design, making it perfect for indoor or outdoor applications. 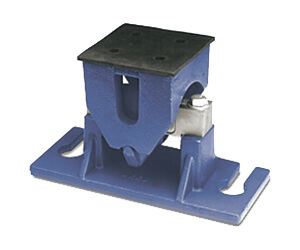 The EZ Mount 1 is simple to install and can be bolted to the foundation and vessel. 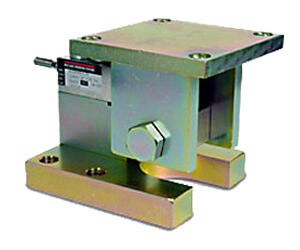 It is available with stainless or mild steel construction in capacities from 5000 lbs to 250,000 lbs. For a total solution, kits that include load cells, a junction box, mounting assemblies and cable are all available. Built with leading design technology, the TSA truck scale assembly is designed for use with the Rice Lake Weighing Systems RL75058 or Vishay Sensortronics 65058. Unilink suspension checks for lateral movement while controlled floating of the scale deck is allowed. 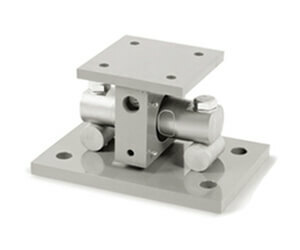 Assembly style removes the need for check rods, links and expansion assemblies.